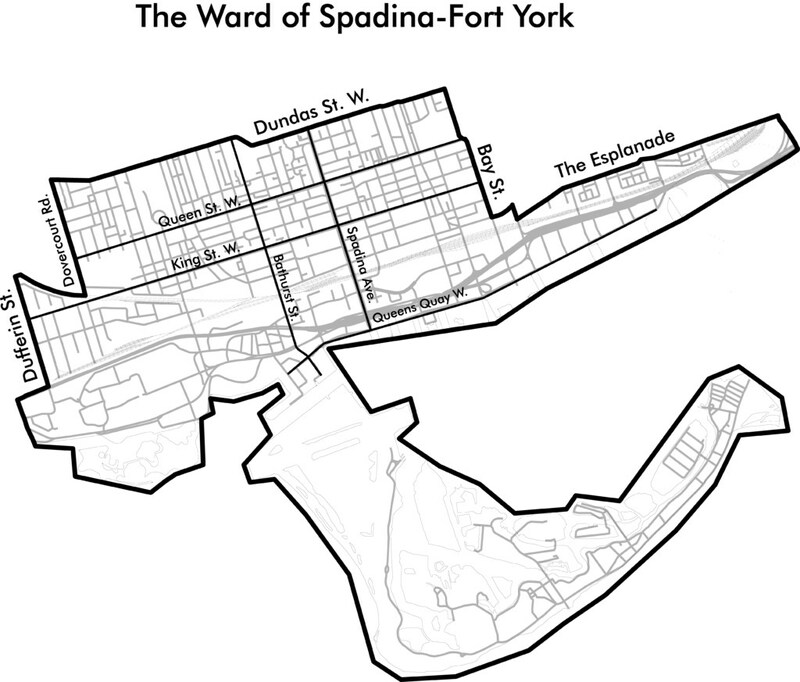 Toronto’s Ward 10, otherwise known as Fort-York – Spadina, where I am currently running for City Councillor, has one of the most competitive elections. The other 13 candidates appear to be well-funded, well-organized and have filed their papers (and implicitly started their official campaigns) long before I have. And that may very well be because this ward is quite magical, with its most unnatural, gerrymandered look. So what do we know about this ward? Here’s the “411” on Ward 10, with a couple others below as comparison. Demographics: There are 115,506 people with an average age of 36 (of which only about 73K can vote); 6% of residents are under 15 years old and 7% of residents are over 64 years old. The average household size is 1.7 people with a median household income of $76,270. The percentage of visible minorities in the ward is 42 per cent. From 2011 to 2016, the population grew by 40%. While this is not immediately obvious in the stats above, our Ward is blessed with a number of landmarks and special neighbourhoods, such as the Toronto Islands, Harbourfront, the Entertainment District, the Financial District, Liberty Village and CityPlace. Before we leave stats, let’s 2 look at two other wards, for comparison purposes. Ward 11 is immediately North of Ward 10, while Ward 14 is to the East (Greektown), and they both have lower median household incomes. Candidates: 8 + 2 incumbents. I have previously covered the fight over the shrinking Toronto City Council. I won’t revisit it, but you can find it on the Globe and Mail (tgm-guide); the CBC guide (cbc-wards) is also interesting. I summarized the candidates’ social media accounts in the Google Spreadsheet linked below as well as under the image above. I will delve into it in a future article. What is left to consider for this article is the neighbourhood associations (or similar NGOs) activating in this Ward or in its immediate vicinity. This map better illustrates ward boundaries.